In the morning snow blanketed the ground and thick cloud hung around the tops. Every so often snow would start drifting thickly down again. After a day spent dragging our bikes up through thick forest with no track, it was a little disappointing to have finally reached the ride-able part only to have it become unrideable again due to being covered in about a foot of snow. We made a big bowl of porridge for breakfast, then coffee, then heated up two minute noodles for morning tea. We were unsure whether to call it a hut day, or to continue. At Goat Creek Hut, halfway through the partially completed Ghost Ride, we woke to an overcast sky. We knew this day was going to be a challenging one... Reports weren't great for the state of the track from about 2 km up this track until we reached Ghost Lake Hut in about 18 km and up a very large hill covered in thick native bush. Most people imagine honey moons are all about lying on beaches and drinking wine in the sunset. We decided that sounded nice, but perhaps a tad boring and unenergetic. We wanted an adventure! So, we put together our favourite things - biking, beaches (particularly wild west coast ones), good food, bush bashing, unexplored territory, mountains... presto! The Kahurangi Moon Ride! 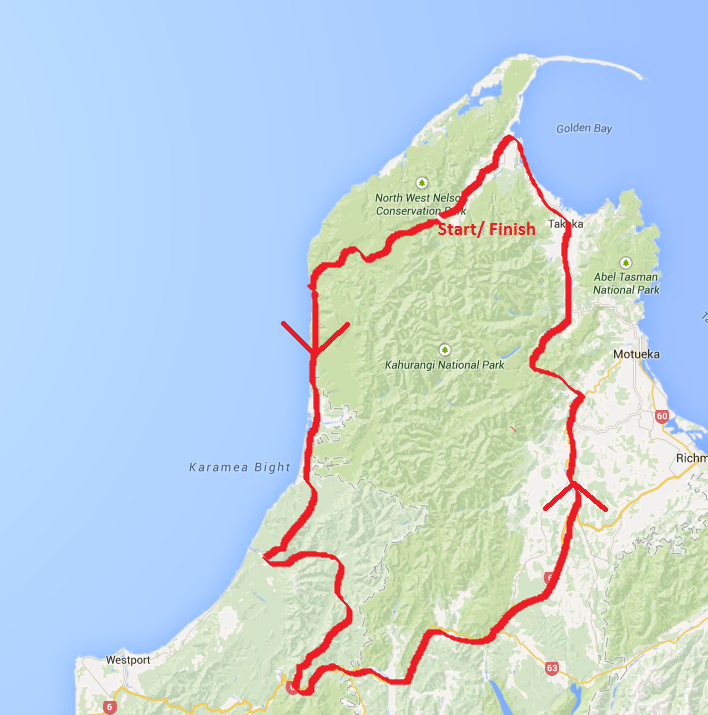 As soon as this plan came to fruition we realised one snag - the Heaphy Track was only open to bikers for one more day this season. Brown Hut became our necessary starting point, and we would have to ride through the track in one day.